Scott’s Spring Pocket Replacement IFS is designed for vehicles that feature a Spring Pocket Frame from the factory. These IFS kits come with a 2”x4” frame rail stubs welded into our 1-piece crossmember. These kits are available with coilovers or airbags & shocks. You will have to cut out the spring pocket frame section on your existing frame and then graph in the new crossmember. Yes, this is a little more work than our Standard IFS install and it is totally worth it! No other company can improve your handling characteristics like Scott’s Hotrods ‘n Customs. Mark the wheel centerline of the wheel on the fender and on the garage floor. Cut your frame directly in front of and behind the stock spring pocket, removing the stock crossmember. You can use a Sawzall®, cut off wheel or any other cutting tool. Mock Up the crossmember in position. 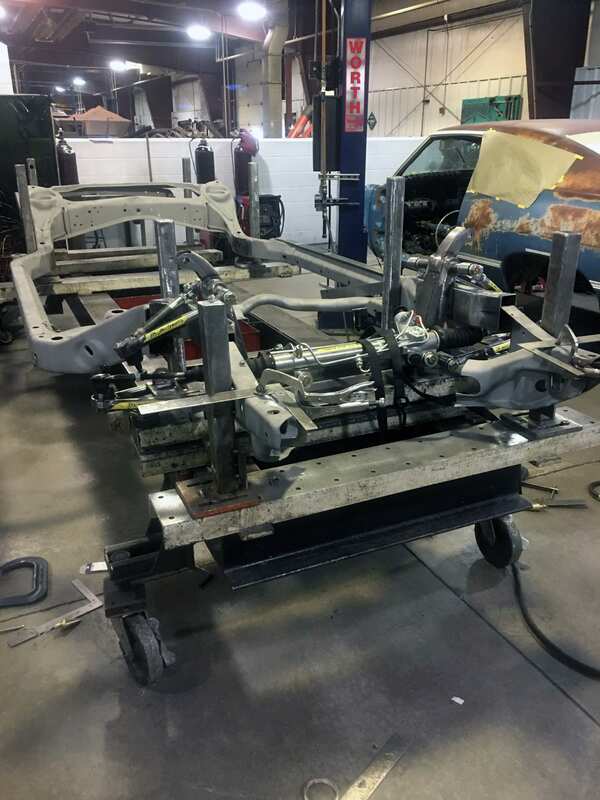 You will have to graph your stock frame rails to the frame rail sections that we have welded to the IFS crossmember. NOTE: The higher you mount the crossmember, the lower the front end of your vehicle will sit. 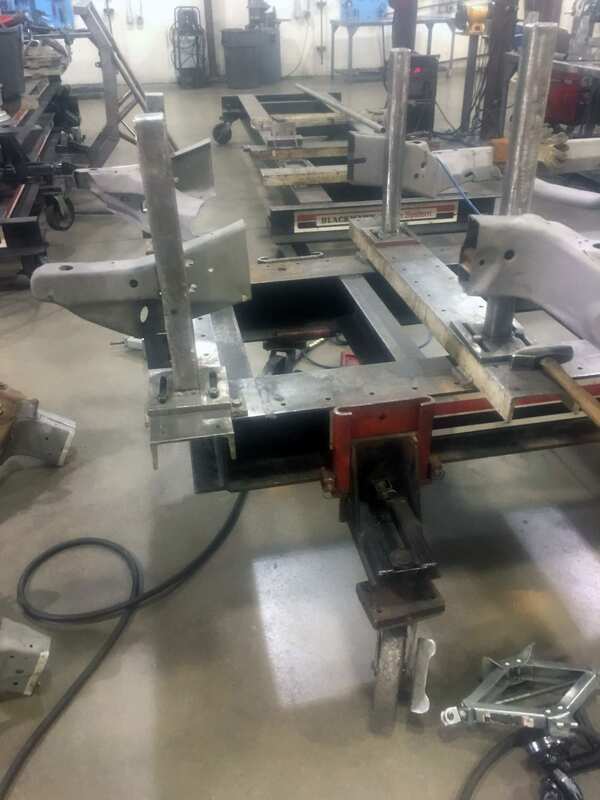 The lower you mount the crossmember, the higher the front end will sit. 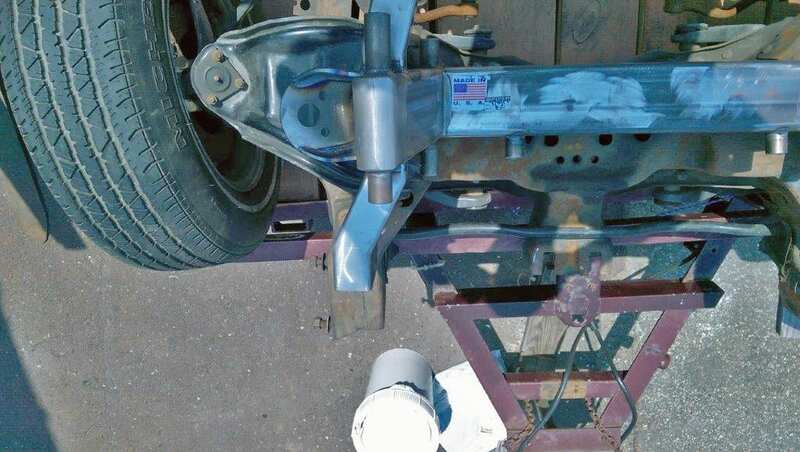 We recommend that you install the A-Arms on the driver’s side so you can mock up your wheel & tire to determine proper crossmember placement. 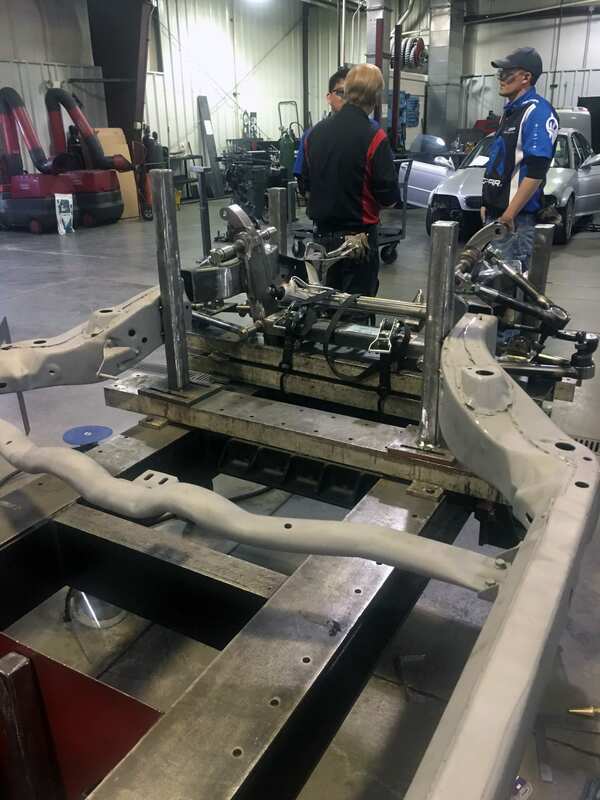 The Lower A-Arm should be level with the crossmember at Ride Height. A-Arm installation instructions are explained later in the instructions.